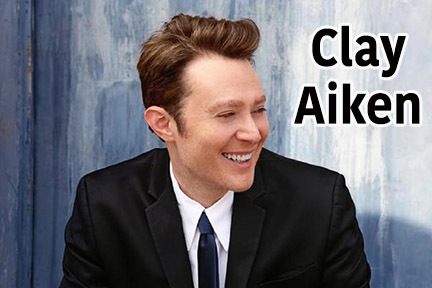 With several platinum records to his credit, Clay Aiken is the most prosperous loser in the history of American Idol. On the show’s 2003 finale, Aiken, a former North Carolina choirboy, came in second place to Ruben Studdard — a decision surprising many Idol fanatics (and so-called “Claymates”) and even prompted rumors of voting fraud. Less than a month later, Aiken vindicated himself with the release of “Bridge Over Troubled Water”/ “This Is The Night” which debuted at Number One, and became the best-selling single of the year — and he was just getting started.